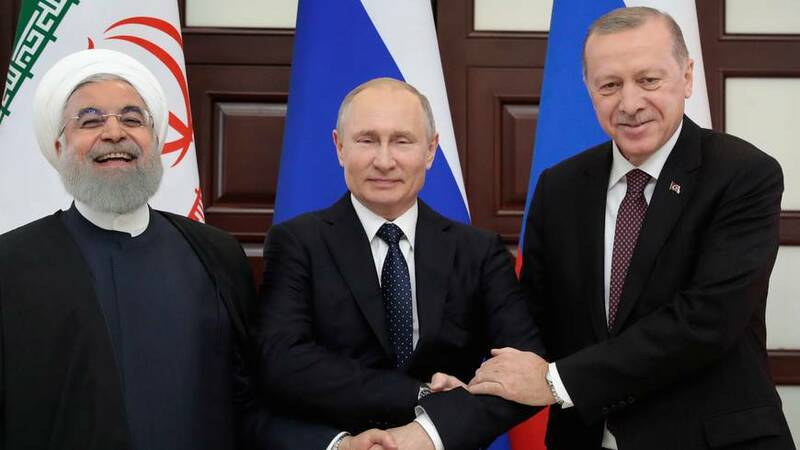 As the West was holding their Middle East Peace and Security Conference in Warsaw, Poland… Russian President Vladimir Putin hosted his allies of Turkey and Iran in Sochi, Russia. The topic was peace and security in Syria. All three countries praised the idea of the United States pulling out of Syria. Putin believed political stability is possible in Syria. Iran’s President Rouhani was not so sure about the American intent to leave Syria. The three countries also agreed to continue to coordinate the management of Syria. Rouhani did not see much point in the Warsaw talks. Russia will be joined by several countries with their future invasion of Israel (Ezekiel 38-39). Two of those countries will be modern day Iran and Turkey.